The Tashmoo Spring Building, which once housed a pumping station that supplied water to residents in West Chop, is now a lovely light-filled event space with rustic brick walls, high ceilings, and a towering chimney. This weekend a group of visual and performance artists host a multi-discipline art show to take place at the beautiful spot below the Tashmoo overlook from Friday through Sunday. 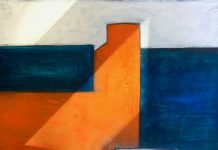 Work from painters Linda Ziegler and Basia Jaworska Silva will grace the walls, along with wall hangings from textile artist Heather Hall, who will also display felted bags, scarves, and silk/felt clothing. Found object sculptures by Cody Jephcote will decorate the gallery and the outdoor space. And there’s entertainment too: At Friday’s opening reception, musician/singer Bella will perform songs in English and Portuguese. On Saturday evening, three local women will present Poetry in Motion, pairing their work with dynamic performances of various sorts. 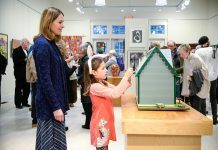 The show was made possible in part by a grant from the Martha’s Vineyard Center for the Visual Arts. Ms. Silva is perhaps best known for her portraits of musical legends. Her contemporary folk art style depictions of artists such as Nina Simone, Professor Longhair, and Fess C. Parker III feature bold colors, expressive faces and, sometimes, a bit of sparkle. Her vibrant images were inspired by her lifelong love of music as well as her longterm relationship with the late local blues musician Maynard Silva. 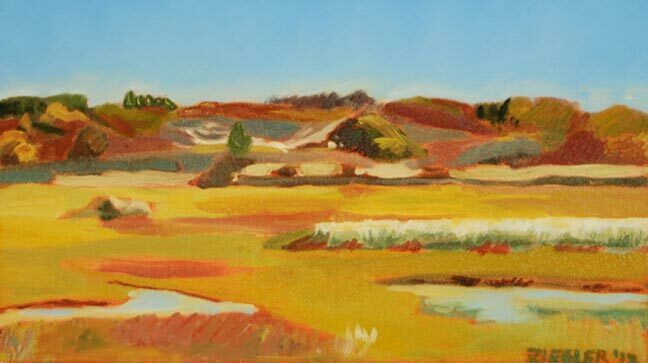 Ms. Ziegler’s impressionistic oil landscapes are colorful and evocative. She prefers to paint en plein air whenever possible. 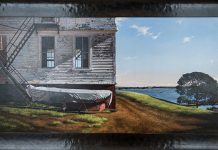 “Besides the painting you get an indelible impression of the day that you painted and the birds that you saw and the weather,” says Ms. Ziegler, “I’ve just seen incredible things that you might not see if you didn’t stand quietly in a field or a marsh. For me that’s the thing that feeds me.” Her Vineyard landscapes capture that insider’s look wonderfully. Complementing the work of the two painters will be wall hangings by Heather Hall. Ms. Hall has found a unique use for the felting process creating lovely stylistic silhouettes of trees and other landscape elements against colorful backgrounds. The textile artist has also created unique silk garments with felting interwoven in the fabric. Cody Jephcote makes use of all kinds of found metal, wire and wooden objects to create playful humanoid figures. He will be exhibiting both larger than life-sized pieces and some smaller sculptures. Entertainment will take place outside in the newly constructed sunken patio. On Friday night, Brazilian-born Bella will perform at an opening reception featuring refreshments. On Saturday evening the “Poets in Motion” show will featured spoken word performances by well-known Island poets Samantha Barrow and Linda Black, along with Christina Montoya exhibiting her talent as an interpretive dancer with her own poetry and choreography. The poets will be accompanied by background music. Art Event at Tashmoo Spring Building, Friday–Sunday, August 2–4. Friday reception, 6–8 pm, music by Bella. Saturday, 11 am–8 pm and Poetry in Motion performance: 6–8 pm; Sunday, 11 am–4 pm. For more information, email bjsrogueartist@gmail.com.